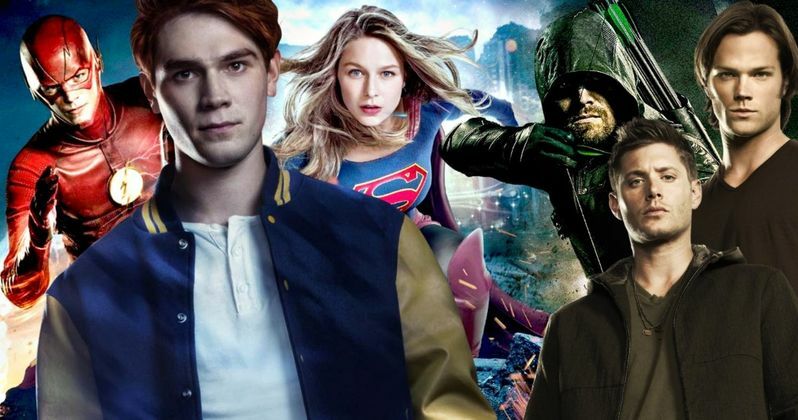 The CW has handed out early renewals to ten shows heading into the 2019/2020 season. Over the past handful of years, the network has really stepped it up in the original programming department and has strung together a series of hits that have managed to find a captive audience. Some of those shows are increasing their already long, impressive runs while others are just getting started. Arrow, Black Lightning, Charmed, Legends of Tomorrow, Dynasty, The Flash, Legacies, Riverdale, Supergirl and Supernatural have all been renewed. Mark Pedowitz President of The CW, made the announcement during the network's recent stop at the Television Critics Association Press Tour. It's certainly no surprise that they're going to continue on with the very successful Arrowverse shows, but both Charmed and Legacies did well enough to earn a second season during their first trips up to the plate. Though, Charmed did have the benefit of being a reboot of a previously very popular show. Pedowitz had this to say about the renewal lineup in a statement. "This season, we expanded our primetime schedule to six nights with the addition of Sunday, which has been an unqualified success for the network, our affiliates and our advertisers. In addition to growing our schedule across the week, we also continue to add more year-round programming. The early renewal of these signature CW series gives us a head start on laying out the 2019-2020 season, and this is just the beginning. These shows provide a strong foundation for our multiplatform programming strategy, and we look forward to building on this with even more returning and new shows as we approach the May upfront." DC has now been an important part of the network's line up for nearly a decade. Arrow is the longest running of these shows, heading into season 8 with the pickup. Stephen Amell will be sticking around as Oliver Queen for at least one more year. Arrow is followed by The Flash (season 6), Legends of Tomorrow (season 5), Supergirl (season 5) and Black Lightning (season 3). The Arrowverse held their annual crossover event in December, Elseworlds, which set the table for a Crisis on Infinite Earths adaptation later this year. With that in mind, it was hard to imagine that any of these shows were going to face cancelation, but the early pickup shows a vote of confidence. Riverdale will be heading into its fourth season and the dark take on the Archie Comics universe has proved to be a tremendous success as well. As for Supernatural, the Winchesters will be heading into season 15, which is truly staggering, making it one of the longest running shows on TV right now. While the show will have to end at some point, if it ain't broke, don't fix it. Or at the very least, don't stop it from soldiering on. The CW will announce premiere dates for these returning shows closer to the fall season.